Fancy a super-concentrated dose of efficacious actives on your skin? 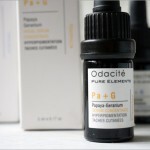 If so, let me introduce you to Odacite’s small but potent Pure Elements Serum Concentrates. Here’s 5ml worth of the highest-grade pure ingredients that can instantly improve the way your skin looks and feel. I first came across Odacite and was vaguely interested in it. I hadn’t read any reviews prior to testing the products so I’d no idea if they were indeed effective as claimed. Naturally, I wasn’t expecting much when I first started on them. I’d understood that I was to mix a few drops of the serum with my favorite product. That was how I first used the serums. But after maybe two weeks of doing so, I couldn’t see any difference. I also disliked the idea of mixing my products up. While I had no problems layering products, mixing them up is disconcerting. So I kinda gave up using the Odacite’s serums for awhile. It was not until I read a brief review about them that got me to re-evaluate the products all over. Perhaps I wasn’t optimizing these serums? If they are super-concentrated, surely I should see some difference? Well, I decided to give them a second chance and boy, I’m glad I did! 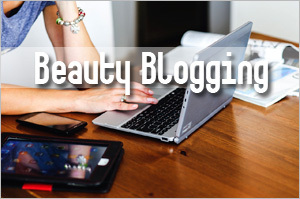 Instead of mixing the serums with my products this time, I applied them directly on my skin. Because these serums are so potent, I only needed a drop or two for my entire face. The trick is, to apply while my face is wet with toner or lotion. Since I wasn’t expecting too much from these products, I didn’t bother to chart the timeline. I have no idea how long it took–whether two weeks or three but I started noticing a difference to my skin. Some of the pigmented spots looked visibly lighter! My skin tone also seemed more even. No wonder they call this intense treatment! 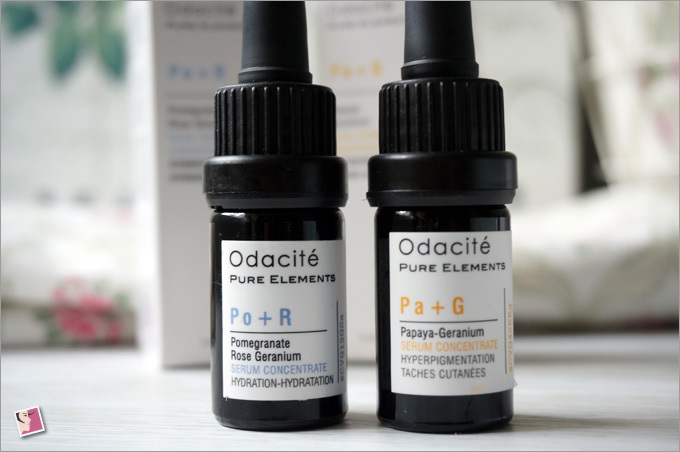 I was so impressed with the results, I went online to check out the other reviews.Â That’s when I realized that the Odacite’s Pure Elements Serum Concentrates are very well received. The one I like—Po+G, a Papaya Geranium Serum Concentrate for Hyperpigmentation–had many glowing reviews. One woman said it helped lightened up her melasma! 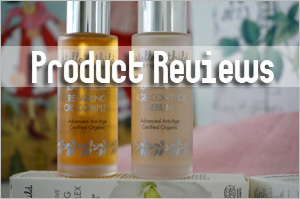 Wow…that review definitely got to me and upped my diligence in applying the serum instantaneously. LOL. Okay, before I get carried away, let me give you a brief intro on Odacite. 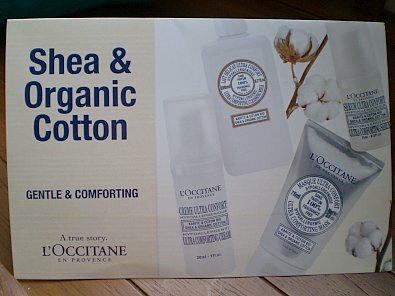 This is a made-in-California skin care range based on French skin care philosophy. The range comprises 30 unique products and the Pure Elements collection I am reviewing here offers 18 ultra-targeted skin remedies that provide customize skin routine to answer specific skin concerns. 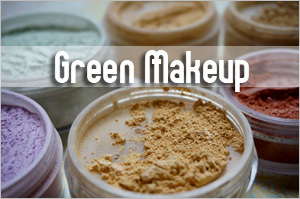 Every Odacite product is made with high quality ingredients, precious plant extracts, beneficial oils and pure cosmeceuticals without any fillers, artificial fragrance, synthetic chemicals or preservatives. Because OdacitÃ© is a committed clean brand, you wonâ€™t find parabens, petrochemicals, phthalates or formaldehyde in their ingredient list. Neither are their products tested on animals as the brand is PETACertification. Oh, Odacite by the way is a French play on the word “Audacity”. The naming convention for the Pure Elements Serum Concentrates is also unique. 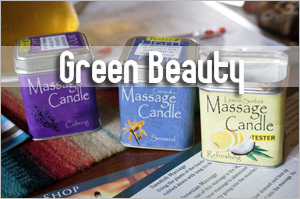 It uses the first two letters of the base oil plus the first letter of the essential oil. I didn’t use all 18 serums of course but these were the two I tried. I like both but my favorite is Pa+G for Hyperpigmentation. The geranium scent is strong so if you love that smell like I do, you will most definitely enjoy using these. Of course, make sure they fit your skin care concerns. Otherwise, you can always pick from the other 16 choices–whether it is for wrinkles, acne, clogged pores, sagging, dullness, or sensitivity. Best Moisturizer: Po+R is the ultimate moisturizing and nourishing serum. Made with a perfect combination of pomegranate oil, Vitamin E oil, and essential oils, rose oil and geranium oil, this serum helps to achieve optimum skin hydration while balancing sebum production to control shine. Pomegranate oil is rich in punicic acid known to reduces skin inflammation and ellagic fatty acids known to enhance skin texture and prevent UV damage. Ingredients: Highest-grade cold-pressed certified virgin organic Pomegranate (Punica granatum) oil, Certified organic Rose Geranium (Pelargonium graveolens) essential oil, Certified GMO-free Vitamin E (Tocopherols) oil. Dark spot corrector formulated to fade brown spots and prevent the apparition of further skin pigmentation. 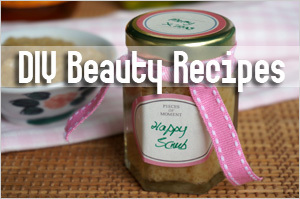 Papaya fruit enzymes dissolve dead skin cells unveiling a fresh and more even-toned glow.Â Geranium and lemon oils combine to further encourage a more evened-out skin tone and provide wrinkle reduction. 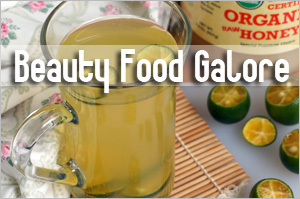 Ingredients: Highest-grade cold-pressed certified virgin Papaya (Carica papaya) oil, Certified organic Geranium, Lemon (Pelargonium graveolens, Citrus limon) essential oils, Certified GMO-free Vitamin E (Tocopherols) oil. Noticed the ingredient lists are very short and sweet? It’s the same with the other 16 serum concentrates. Some contain just two ingredients while others contain a few extras. All right…but wait. If the ingredient list is so short, why is the price so high? Well, Odacite Pure Elements Serum Concentrates ain’t cheap. 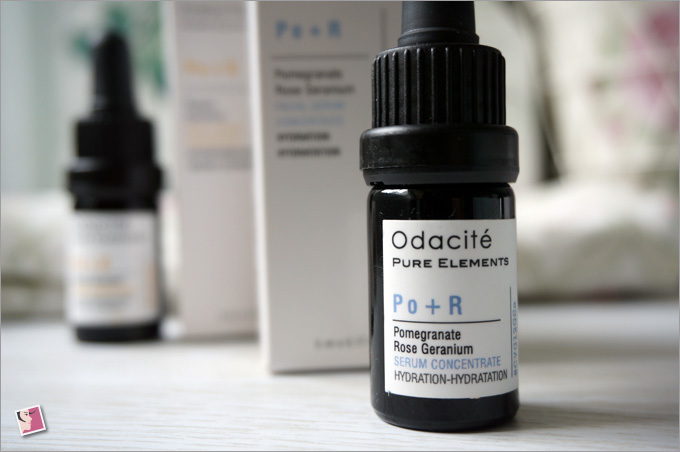 A tiny 5ml bottle cost anywhere from S$58 to S$100 (US$32 to US$55 as reflected on Odacite’s website) depending on what goes into each bottle. Now some of you are probably gawking at the price and wondering, “if price is so high, why not make our own?” Well, I’d asked the same question myself but I have no idea what’s the mixing ratio like. Also, you can source your own ingredients but there is a difference in terms of the quality and I’m speaking from years of having used facial oils. So sure, you can mix your own but can you get the same results? No one can guarantee. Also, the serums are clear so I don’t think they are just simple essential oil in a base oil kind of formula. Anyway, I’ll go for the product and having experienced the results first-hand, I’m quite prepared to fork out S$70 for the serum concentrate. Even though it’s just 5ml, it’s so potent you only need to use a drop or two each time. So a bottle can possibly last you two months if you use it once a day. 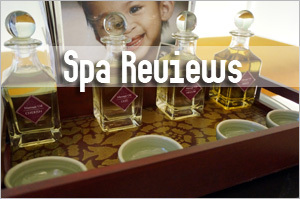 If you’re in Singapore and would also like to try these, check them out at Pure Tincture. These serum concentrates would work for most skin types but if yours is particularly sensitive, they might not be suitable for you. I really am surprised at the efficacy of this one. If you do get, I hope it’ll work well for you. The price is steep but quite worth it by my books. Did you use and like the product? These serums definitely spikes my radar for oil serums. Been using oil serums for years and have never looked back since, and I’m almost finishing my current bottle of oil serum. Will pop by the website to take a look! They’re worth checking out. Pricey though…but I found them effective. 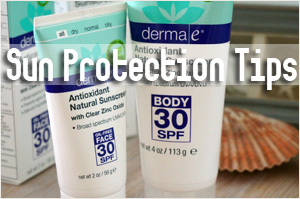 For PA+G, do you use it drop it with moisturiser or use it directly on face? I use it directly on my face. I tried adding to my serum initially but found it less effective. 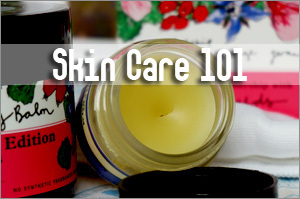 Do you use it before you apply moisturizer? If I have PO+R, can I use both Pa+G and Po+R together or I use it on alternate days? 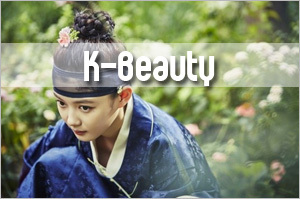 Yes, after serum, before moisturizer or sunscreen. 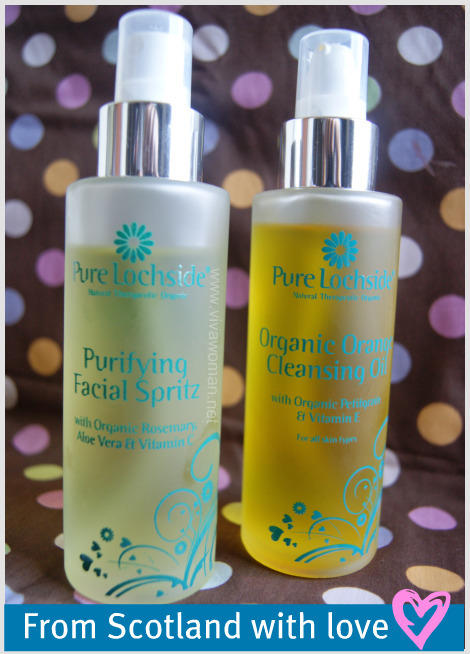 I try to use PO+R and Pa+G separately, like one in the day and one at night, two drops each time. However, there were times I used them together but if I do that, I make sure it’s one drop of each so it still adds up to two drops. Hmm…this is more like a booster serum so I don’t apply a lot. But as long as you have a toner on, it’s ok to use this after. Just make sure to apply on wet skin or you will find the serum hard to spread. Thank you so much from Russia for such a detailed overview! There are a little bit views and comments on these products, but price don’t allows to buy them blindly. I’ll keep in my mind that it’s preferably to use them purely on the face. Could you tell me for how long you have used each of this products (or when they have finished: after one/two months of using)? I’m so happy I found your post. I have both the Acai Rose and the Wild Carrot concentrate. I’ve been putting off trying them due to my not wishing to mix them with anything since they’re so pure. Hopefully, they’re okay to mix together. I’ve bookmarked your site and will report back. Thank you again. I love this line. My favourite is Pa+G. It’s a great way to super charge serums. Same product that I love! I’m using my second bottle now. Hi, may i know where can i buy this product in Singapore?